The April 2018 regular Monthly Flyer of Specials is here! 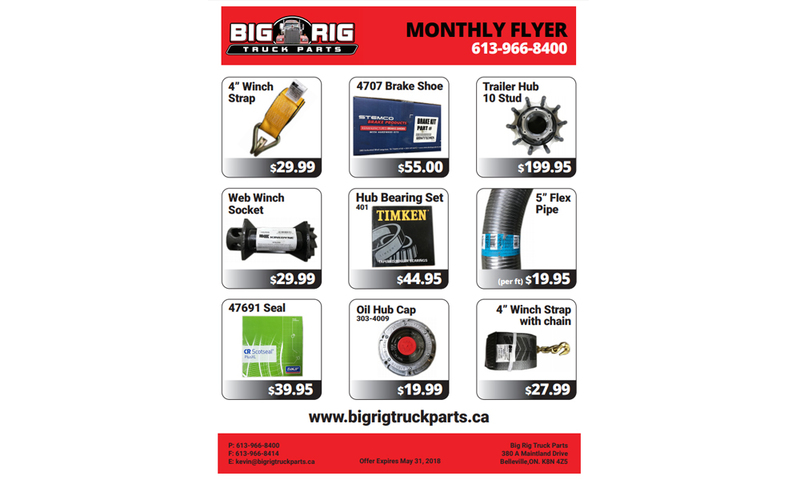 The Monthly Flyer features winch strap, hub bearings, flex pipe and 10 stud trailer hubs. We also carry all Klondike engine oil and lubricants.